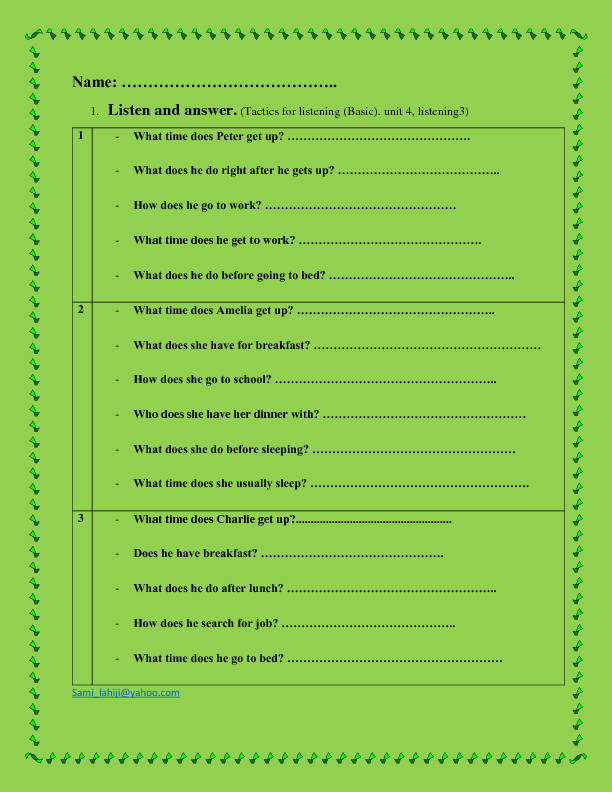 This worksheet is appropriate for practicing listening and daily routine activities. 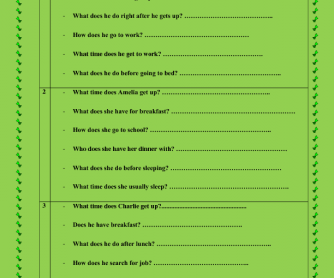 This is based on the book Tactics for Listening, Basic, unit 4. It's suitable for elementary students. Hope you find it useful in your classes.